"The Pieces of Eight" worked throughout World War II dodging bombs during the London Blitz and across the country. 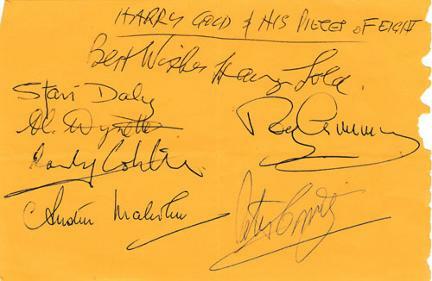 After the war, thanks to radio broadcasts, records and incessant touring, Harry Gold and his Pieces of Eight became household names in Britain through the late 1940s and 1950s. 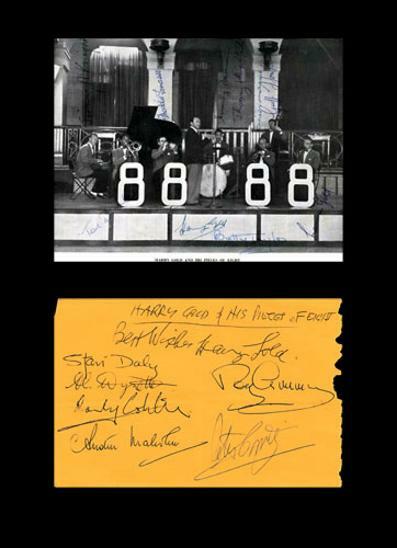 Autographed montage featuring a large autograph album page signed by Harry Gold and six of the band members - mounted with a B&W photo of the band on stage (with printed signatures). 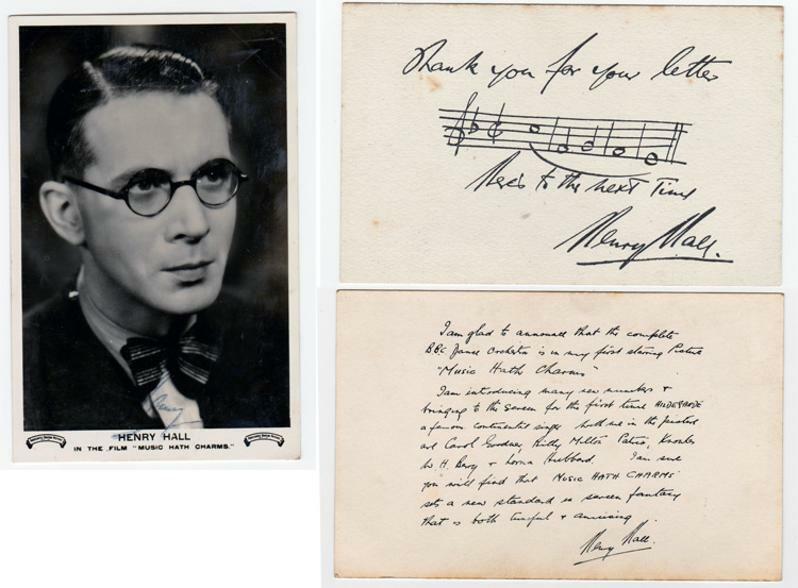 HENRY HALL signed movie publicity photo for "Music Hath Charms" (1935) + Handwritten & signed message with on the reverse: his trademark signed musical notation compliments slip with the catchphrase "Here's to the next time." 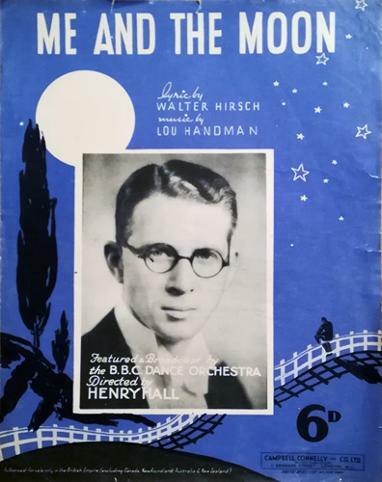 "Me and the Moon" sheet music.